The journal JCR Colloids and Surfaces A: Physicochemical and Engineering Aspects, has recently publish and interested article which show the results of the research lead by Jordi Esquena, Coordinator of Unit 12 of NANBIOSIS,. The formation of biocompatible hydrogels of chitosan crosslinked with genipine deposited on textile substrates has been studied and the incorporation and release of active ingredients for cosmetic applications has been investigated. The active principles studied have been dihydroxyacetone (DHA), which produces a sunless tanning effect; And carnitine, used as anti-cellulite agent. 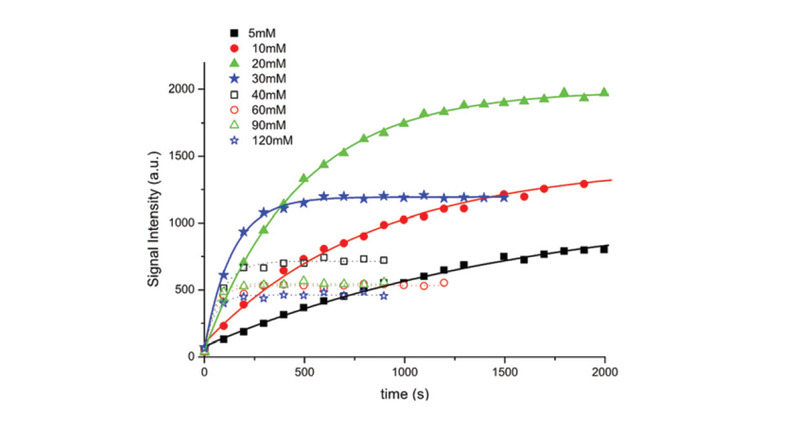 The results have shown that crosslinking with chitosan allows controlling the release rate of the active ingredients, slowing the release by increasing the degree of cross-linking. On the other hand, it has been observed that the active principle influences the gelation and the rheological properties of the hydrogels, mainly due to the interactions of the molecules with the amino groups of the chitosan. These results have illustrated the possible use of chitosan hydrogels in cosmetic and cosmetotextile applications. For this study, techniques available on the NANBIOSIS-ICTS have been used. The EU-NCL network will finance a project of nanomedicine for prostate cancer cordinated by Simó Schwartz and Ibane Abasolo, NANBIOSIS-U20 Director and Coordinator. 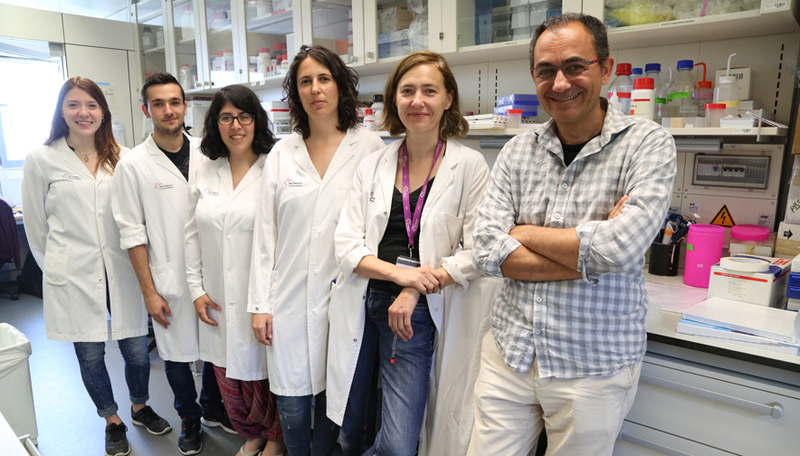 The European Nanomedicine Characterisation Laboratory (EU-NCL) has selected a project from VHIR intended to develop a therapeutic nanoconjugate that improves the treatment of prostate cancer. Among all proposals presented to EU-NCL, only this one in Spain is part of a small group chosen to carry out the necessary tests to move the product into clinical practice, which makes Vall d’Hebron Campus a leading nanomedicine hospital with capacity to generate and validate therapeutic nanoconjugates and nanomedicines. The main difficulty in this field is to have a nanomedicine that meets certain requirements that can make it susceptible to reach clinical trials. “In our case, pre-clinical trials will be made with a polymer that transports therapeutic paclitaxel, a drug for the treatment of breast cancer, pancreas and prostate, which has proven to be a good candidate to reach clinical phases. Nanbiosis helps us in the efficacy/toxicity part in vivo” says Dr. Simó Schwartz Jr.
What has been seen so far is that this therapeutic nanoconjugate is able to carry much more paclitaxel into the tumour whereas its toxicity profiles are much lower as compared to the free drug used in clinical practice. In animal models of prostate cancer our nanoconjugate is able to avoid the growth of the tumor while deeply reducing metastasis. It has managed to change the average half-life and pharmacokinetics of the drug and to reduce its toxicity. As a comparison, when given in animals the same amount of free drug, without the nanomedicine, at the second dose, toxicity is so high that trials have to stop. That is to say, that “the difference in toxicity between the therapeutic nanoconjugate and the free drug is abysmal which allows us to make much more aggressive administration regims, that are not feasible with the conventional drug,” insists Dr. Schwartz Jr. The next step will be to determine which is the maximum dose of administration that we can use. At the moment, we know that when administered three times a week during 4 weeks no toxicity is seen and the therapeutic efficacy is very good. We need to see if this dose regim can be increased to get even more efficacy, as long as toxicity allows it. “We work with a nanomedicine that is easily scalable, very stable, it can be lyophilisated (reconstituted) very easily and after two years of storage is still in perfect condition,” he highlights. Therefore, for the next year “our goal is that the nanoconjugate may be authorized as an Investigational New Drug (IND) and hence all essays that we have agreed with the EU-NCL are those that the European Medicines Agency (EMA) consider necessary to achieve the IND designation”, concludes. In a study published in the journal Colloids and Surfaces A: Physicochemical and Engineering Aspects, by Jordi Esquena, Coordinator of Unit 12 of NANBIOSIS, among others, it has been shown that the latex particles dispersed with graft-type polymeric surfactants have excellent colloidal stability, which is attributed to the repulsion forces between the particles, which arise from the presence of adsorbed surfactant molecules. These forces of repulsion have been studied by means of Atomic Force Microscopy (AFM), between an AFM tip and a latex particle, with the presence of surfactant adsorbed on both. It has been observed that this repulsion is maintained even at high concentrations of electrolyte, which has been attributed to the high hydration of the surfactant. The results have allowed to explain the stabilization mechanism, being of great importance in systems where the control of the colloidal stability is a fundamental requirement. 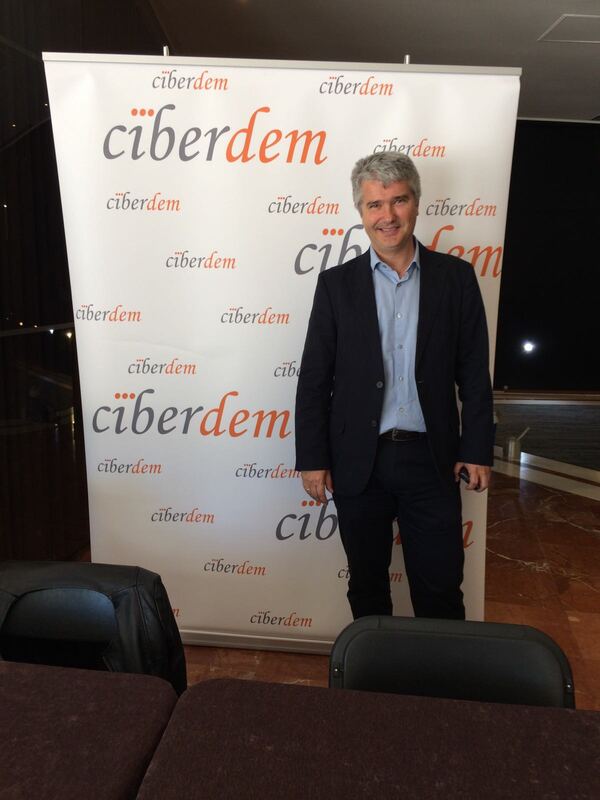 Jesús Izco, Coordinator of NANBIOSIS, has presented NANBIOSIS-ICTS at the annual meeting of all CIBERDEM research groups, which takes place from 17 to 19 May 2017 at the Campus Hotel, on the Campus of the Universitat Autònoma de Barcelona, in Cerdanyola del Vallès. Jesús Izco has explained the opportunities offered by the ICTS NANBIOSIS as a Platform for Research and Biomedical Innovation, giving examples of private-public collaboration in competitive calls (INNPACTOP, Challenges and H2020) in which NANBIOSIS has participated and explained the design of the new Nanomedicine Cascade Characterization Service, in which NANBIOSIS is working on. CIBERDEM (Diabetes and Associated Metabolic Diseases) is to lead the investigative effort of excellence in diabetes and associated metabolic diseases, as well as to accelerate the transfer of results to clinical practice, favouring the flow of knowledge obtained in diabetes to other disciplines and vice versa. P1: Epidemiology, genetics and epigenetics of diabetes mellitus. Chronic complications and comorbidities. P2: Molecular and cellular determinants of the function, lesion and protection of pancreatic islets. Regenerative medicine and advanced therapies. P3: Cellular and molecular mechanisms involved in the development and progression of type 2 diabetes and identification of new therapeutic targets. 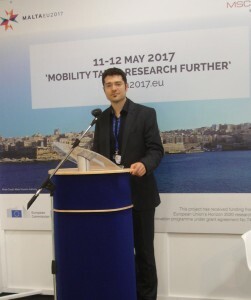 The Platform2nano research project (2012-2016) has just been awarded a second prize in the “Contribution for a better society” category, at the “Mobility Takes Research Further” conference organized by Marie Skłodowska-Curie actions (MSCA 2017) in the framework of the Presidency of Malta of the Council of the European Union. More than 195 researchers from 30 nationalities who have developed their scientific work through the prestigious Marie Skłodowska-Curie Scholarships were presented to these awards. The project “Development of a microfluidic platform to produce nanomaterials and assessment on new nanotechnology applications” in which participate the researchers Manuel Arruebo, Laura Usón, Isabel Ortiz de Solorzano y Jesús Santamaría members of the group Nanostructured Films and Particles -NFP, coordinator of Unit 9 of NANBIOSIS, was rated as excellent for its outstanding contribution to the design of a wide variety of nanomaterials through efficient technologies and for its multiple applications in different fields of great social interest such as biomedicine or energy processes. The NanoBioCel Group, Coordinator of Unit 10 of NANBIOSIS has led the development of new scaffolds (such as burns, trauma or tumour extractions), to regenerate critical bone defects that, in addition to physical support, offers the opportunity to release growth factors temporarily replacing the bone matrix and aiding the regeneration of bone tissue. All the tests and processes carried out to know the properties, biocompatibility and possible cytotoxicity of the scaffolds have been satisfactory. Preclinical studies have been performed on animals with promising results, which are in the process of being published. The group is trying now to improve what has been achieved to date, such as introducing other elements such as calcium, or other growth factors, that improve regeneration. The project is part of a new line of research promoted by Drs. Gorka Orive and José Luis Pedraz, whose research group NanoBioCel of the Laboratory of Pharmacy and Pharmaceutical Technology of the UPV / EHU and CIBER-BBN coordinates Unit 10 of NANBIOSIS, used in the research. They also have counted with the collaboration of UCA (Unit of Arthroscopic Surgery), and the work of the company AGRENVEC, which was the supplier of the growth factors. Sánchez, J.L. Pedraz, G. Orive .. Biologically active and biomimetic dual gelatin scaffolds for tissue engineering. International Journal of Biological Macromolecules, 98: 486-494 (2017). DOI: 10.1016 / j.ijbiomac.2016.12.092. 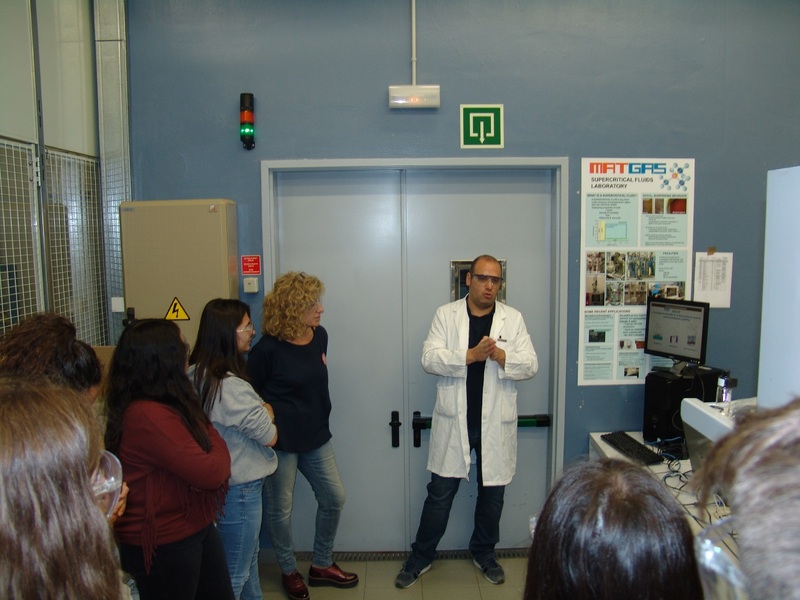 A group of 22 students from the high school La Serra (Mollerusa) visited the Biomaterials and Nanostructuring Unit of NANBIOSIS, at the Institute of Material Science of Barcelona of CSIC. The visit was an activity within the Nanoscience and Nanotechnology festival 10alamenos9 in which ICMAB participates. The students were guided through the labs by Amable Bernabé, technical responsible of U6, who explained them about nanotechnology, NANBIOSIS-ICTS research infrastructure and the different techniques available at “Biomaterials processing and Nanostructuring Unit”. Jaume Veciana, Scientific Director of NANBIOSIS-ICTS has participated in the research results published in the journal Chemical Communication, wich reports the synthesis and the study of a novel mixed biradical with BDPA and TEMPO radical units that are covalently bound by an ester group (BDPAesterTEMPO) as a polarizing agent for fast dissolution DNP. The biradical exhibits an extremely high DNP NMR enhancement of >50000 times, which constitutes one of the largest signal enhancements observed so far, to the best of our knowledge. Some of the researchs were made taking advantage of the characterization facilities provided by ICTS NANBIOSIS. 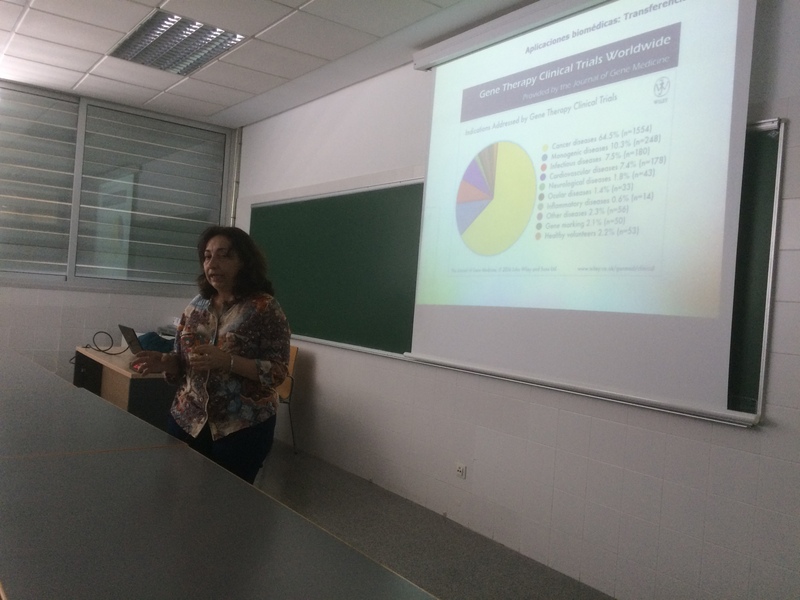 Yesterday, at the University of Zaragoza, Prof. Nuria Vilaboa (CIBER-BBN– Hospital Universitario de La Paz) gave a talk on “Nanotechnology and biomedical applications. Gene therapy“. The event was organized by Manuel Arruebo II Institute of Nanoscience of Aragon), researcher of the coordinating group of Unit 9 of NANBIOSIS. In recent years, a multitude of materials of nanometric size have been explored, which because of their small size have properties that give them a great attraction for a wide range of biomedical applications. Prof. Vilaboa reviewed gene therapy technology, where materials at nanoscale offer interesting alternatives.